November | 2010 | . :: computer geek's diary ::. Leo Baubauta is back again with another interesting book, focus. It’s about finding simplicity in this Age of Distraction. It’s about finding the focus you need to create, to work on what’s important, to reflect, to find peace. The free version is simple: it’s 27 chapters that you can download for free, without having to give an email address or do anything else. It’s uncopyrighted, and you can share it with as many people as you like. Download free version here (a pdf download). Again, you can share this ebook freely, so feel free to post it on your blog, Twitter, Facebook, or email. The full version of focus is basically a self-taught digital course on focus, from a wide range of experts. considering all that’s offered: $34.95. The book is now available in the Kindle Store. The $8.99 price for this version includes the full book, including bonus chapters, but does not include the videos, audio interviews and other bonus files included in the premium version. Also note that the premium version now includes the book in epub format, which can be uploaded to your Kindle, iPad, or other ebook reader. The premium version (that you buy from me) has a 100% money-back guarantee, if you’re not fully happy with the book. No questions asked. Note: This DOESN’T apply to the version you buy in the Kindle store, as you’re buying from Amazon. I don’t want any unhappy readers — if you want your money back for any reason, you’ll get it, and you don’t need to say why. Here’s how. Unlike my other books, there will be no affiliate sales for this book. While I would love for people to review and recommend my book, I want it to come from the heart — because they think it’s a good book for others to read — not out of financial motivation. And while I think that’s mostly true of affiliates of ebooks, there’s always a mixing of the motivations. However, you’re free to review the book, give away the free version on your blog, or interview me (just email zenhabits at gmail, with “interview leo” in the subject line). Q: Can I get it on Kindle, iBooks, or other ebook format? A: Yes! You can buy the full book in the Kindle Store for $8.99, although this doesn’t include the video, audio and other bonus files in the premium version. The premium version now includes the book in epub format, so you can upload this file to your iPad, Sony ebook reader, Kindle or other ebook device. A: That is also coming soon. It’ll be the full version of the book, but without the bonus digital files. I’m self-publishing it. No date on the release of this, but I’ll let you know. Q: Can I see the table of contents? A: Of course! It’s here. A: You should receive an email (the one you used to pay for the book) that contains a download link. You only get 5 attempts to download the file, so don’t click on it until you’re at the computer you want to download the book to. The download should contain the book and several files, including a “readme” file. This readme file has links to the audio interviews and videos. A: No worries … just email me at zenhabits+refund at gmail, let me know you bought “focus” but didn’t receive the link, and I’ll send it to you. Q: What about an audiobook? A: No, no plans for that. File encryption is your best bet if you want to keep The Man, foreign spies, or your annoying roommates out of your files. Here’s a look at five of the most popular encryption tools Lifehacker readers use to lock down their files. Image a composite of photos by Anonymous Account and flaivoloka. Earlier this week we asked you to share your favorite encryption tool. We tallied up your votes, and now we’re back to highlight the five most popular tools for the encryption job. GNU Privacy Guard (GnuPG) is an open-source implementation of the famed Pretty Good Privacy (PGP) encryption tool—you can read the very interesting history of PGP and how GnuPG came to be here. GnuPG is a volume and individual file encryption tool with support for a dozen encryption schemes, paired keys, and expiring signatures. GnuPG doesn’t only provide rock-solid local file encryption; it is, thanks to paired encryption and public key servers, a great tool for encrypted communication. Please note, regular old GnuPG is a command line tool. Check out the list of graphical wrappers and application plug-ins for various operating systems here. 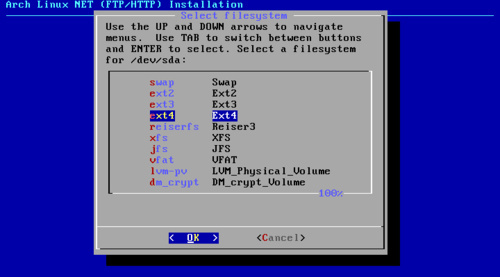 The screenshot above is from Cryptophane, a graphical Windows interface for GnuPG. Disk Utility is a diverse tool that handles almost any disk-related tasks you’d need on OS X. The utility is capable of creating secure disk images and file volumes encrypted with AES 128-bit or 256-bit encryption. Like most native Mac utilities and applications, Disk Utility and the accompanying encryption blends seamlessly into the OS X experience and makes mounting and unmounting encrypted volumes a breeze. If you’ve never created an encrypted disk using Disk Utility before, take a look at our previous guide. TrueCrypt is a free, powerful, and on-the-fly disk encryption tool. With TrueCrypt, you can create secure encrypted virtual disks or even encrypt entire drives. TrueCrypt is an on-the-fly encryption tool, meaning files are decrypted as you access them and modify them and then encrypted when not in use. Thanks to various optimization tricks and full utilization of the power of modern processors, working within a TrueCrypt volume feels no different than working on a regular unsecured disk. TrueCrypt not only offers strong and transparent encryption—it also offers the ability to create hidden volumes within encrypted volumes for even more secure (and obscured) file protection. Compared to some of the heavyweights in this Hive Five (like GnuPG and TrueCrypt), it might be easy to dismiss the popular file compression tool 7-zip as a lightweight. 7-zip fills a perfect niche for many people, however, by offering simple ZIP container-based encryption. If you’re not interested in encrypting a ton of files or maintaining an entire encrypted volume, but you still want to make sure important documents like tax returns or other Social Security bearing documents are locked up tight, 7-zip sports strong AES-256 encryption. Create a new compressed archive, throw your files in it, and slap a password on. Your files are strongly encrypted and stored right alongside your regular documents. AxCrypt is a free encryption tool for Windows. Once installed it integrates with the Windows shell and offers simple right-click encryption and decryption of files with AES-256 encryption. Your entire interaction with AxCrypt can take place exclusively from the right-click context menu. In addition to integrating with Windows and offering easy encryption and decryption, you can also use the tool to create self-extracting archives to securely transport files or transfer them to a friend—no AxCrypt installation necessary at the other end. Now that you’ve had a chance to look over the five most popular file encryption tools among Lifehacker readers, it’s time to cast a vote for your favorite. Popular Linux distributions like Ubuntu are great, but they don’t always provide the power and customizability you’re looking for after you’ve gotten comfortable with Linux. That’s where Arch Linux comes in, helping you create a personal, killer Linux distro. Here’s why you may want to use Arch Linux, followed by how to set it up. Who’s Arch Linux Good For? Linux is popular for a number of reasons, but high on that list is the fact that, with Linux, you have a lot more power to tweak your OS to your liking. You also have the opportunity to learn more about the way computers and operating systems work. While Ubuntu certainly fits this bill (when compared with Windows or Mac OS), intermediate Linux users may be itching to try something new. Arch Linux is a great distribution for intermediate users looking to dig into Linux a bit more and essentially roll your own fast, stable, super-personalized distro. The key part of this explanation is “intermediate users”. 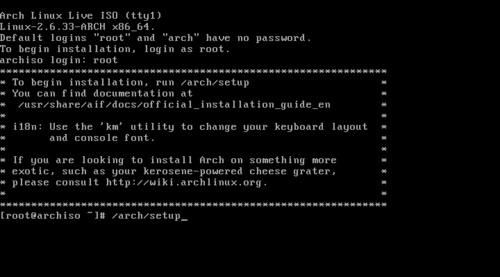 Arch Linux is not for Linux beginners; there’s a lot of manual configuration and command line work involved that Linux rookies probably aren’t comfortable with. If you are a rookie, that’s awesome—welcome to the wonderful world of Linux—but you won’t want to start here. Take a look at something like Ubuntu, and when you’ve used that for awhile and become comfortable, come on back here for some serious Linux action. If you’ve been using something like Ubuntu for awhile and are comfortable with the basic ideas of command line work and configuration files, read on, because Arch Linux is a great next step. This guide has two parts. The first describes the philosophy behind Arch Linux and its benefits as a distro, while the second part is a (very simplified) guide on setting up your first Arch install. I won’t go through some of the more basic explanations since, as Linux users, you probably know how to burn an ISO image to CD, what the difference between 32- and 64-bit operating systems is, and so on. Bear in mind that while this guide should get you started, this is by no means a one-stop-shop for all Arch Linux knowledge. I highly, highly recommend you also browse the Arch Linux Wiki, especially the Beginner’s Guide, before you actually begin. The forums are also a great source of info, so check them out as well. If you just follow the steps in this guide and go “ta-dah!”, you’ll miss the point of what Arch Linux has to offer. The Beginner’s Guide can be a bit overwhelming, since it incorporates so many different possibilities that many first-timers won’t deal with, so I’ve created this guide to inspire you and help show you that it isn’t as nerve-racking as it may seem—but you’ll still want to use multiple resources when you go to install your system. 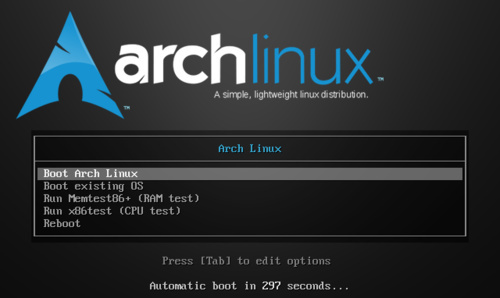 As Arch is definitely not for Linux beginners, you may be wondering what its advantages are. While it’s pretty popular among developers and the like, it’s also pretty popular among general tweakers and geeks that like to really get at the nuts and bolts of a system. If you’ve been a Linux user for a little while and you’d love to get a bit deeper and learn about how it works so you can more properly and openly configure it to work for you, Arch is the perfect next step in your journey. The general philosophy of Arch Linux is based on simplicity. Specifically, Arch aims to be an efficient, user-centric, open, elegantly coded distribution that doesn’t sacrifice anything for convenience. That is, when faced with choice between more efficient code and a simpler experience for the average computer user, Arch will always choose the former. However, while this may seem like a burden to some, it’s actually one of Arch’s biggest advantages. Instead of configuring the distribution to be idiot-proof, Arch forces you (politely) to learn what each configuration file and important terminal command does early on. Thus, when something breaks or when you want to configure something beyond what KDE or GNOME has options for, you pretty much already know where to go and what to do. Note that I’m not trying to say that idiot-proofing is a bad thing. In fact, being simple to use is one of the best characteristics a modern OS can have—for the average PC user. Once again, this guide is not for those people. This is for the people that strive to tinker with their operating system’s insides. For the record, I love Ubuntu. It works great out of the box on my netbook, and I don’t see myself migrating that PC to a new OS anytime soon. I’ve also used it to repurpose some old PCs for my mother around the house, up north, etc. and it works beautifully. If you use Linux solely because it’s free, open, and easy to use, you don’t need to complicate your life for no reason. However, if you’ve used Linux for a little while and would like to take the next step, Arch is where you want to go. While Ubuntu works out of the box with a lot of computers, and provides a lot of user-friendly configuration for certain things, it’s a nightmare to configure for others. It provides no way of teaching you where the correct config files are for your eighty button mouse or your three monitor setup, and I hate to say it, but in my experience the Ubuntu forums have been less than helpful. Again, not to hate, but that’s just what I’ve experienced. Arch’s installation doesn’t really have a graphical interface. It’s mostly done through the command line, and consists of you using a guide like this and the fabulous Arch Wiki to partition your drive, install a minimal base system, and go through each base configuration file and learn what it does. So one day, when you want to automatically mount another hard drive when Arch boots, you will know, at the very least, it requires adding something to the options column of /etc/fstab, and you won’t be the least bit intimidated by that fact. And, when you don’t know what to do, Arch has one of the best documentations and communities I’ve ever seen. Unlike other popular operating systems, Arch doesn’t have a big update every two years, one year, or even six months—Arch updates whatever it wants, whenever it wants, which means you’re constantly on the bleeding edge of both the OS and the software you use. Note that in this instance, “bleeding edge” does not mean “ridiculously unstable”. Lots of testing goes into these packages before they get added to the repositories, and you aren’t going to find your PC crashing every day because you’re always getting the newest updates. What it really means is that you’ll get software updates as soon as they’re ready to use, not as soon as Ubuntu gets around to updating their repositories. If Thunderbird releases an update, you’ll get that update the next day—not the next month. Since you start off with a minimal install and build up from there, you won’t have any unnecessary packages bloating up your system. You have complete control over everything that goes into your setup, and you can make it as small and minimalistic or as big and powerful as you want—you essentially build your own, fast, stable, super-customized Linux distro from the ground up. And who wouldn’t love that? If all this sounds like your dream come true, then it’s time to move on to the next step: actually installing Arch. While the Arch Wiki has a great Beginner’s Guide (have I mentioned that you should read it? ), I found I still ran into a few hiccups along the way, and the wiki is so full of (great) information that it can be a bit overwhelming for an Arch first-timer. For example, the beginner’s guide goes through lots of different possible situations—i.e., if you’re using a static IP, if you require wireless internet from the getgo, etc. Instead of trying to sift through all that and ignore the more advanced stuff that may not apply to you, I’ve created this guide that should get you up and running without your brain exploding. This guide contains the methods I found work best and were easiest for me, and they should work with most PC builds without a problem. If you do run into any problems, or have any specific needs that aren’t fulfilled by this guide (like if you are using a static IP), you can probably find more detail in the corresponding section of Arch’s Beginner’s Guide, so head over there when necessary. Click on any of the following images to get a closer look. The first step is installing the Arch Linux base system on your drive. This consists of the easy stuff like setting the clock, getting your partitions in order, and selecting any packages that are necessary out of the gate, and the educational part where you learn what each base config file does and how to edit it. You can install Arch many different ways, but we’re going to use your basic CD installation. If you don’t have an optical drive, you can always install it from a USB flash drive, too. 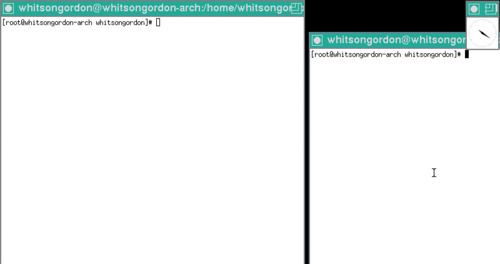 There are two main types of installations for Arch: Core and Netinstall. The Core ISO contains all the packages you need to install Arch, while the Netinstall ISO grabs them all from the net. The Core takes longer to download at the beginning, while the Netinstall will take longer when you download all the packages—though the Netinstall will grab all the most up-to-date packages, while you’ll have to update the Core install afterwards. We’ll use the Netinstall version, since it’s faster in the end and we’ll assume you have an internet connection on the computer in question. However, you can still follow this guide with the Core CD no problem. Head over to the Arch download page and download the ISO you want, making sure to distinguish between the 32-bit (i686 CPU) and 64-bit (x86-64 CPU) installations. If you tend to be wary of 64-bit OSes, I wouldn’t worry—Arch is really good about keeping everything compatible. While you could always partition your drive from the Arch Linux installation CD, you might as well do it now, especially if your computer already has a working OS on it (and since you’ll need something to do while that ISO downloads and burns). Assuming you already know how to partition drives, go ahead and make one for your OS and a nice 1GB swap partition for good measure. Format them however you want; you’ll just reformat them once you install Arch. This setup merely takes the fear out of partitioning, which can be a little nerve-racking when done from the command line. If you do this from Linux (like a Live Ubuntu or GParted CD), you’ll make your life a lot easier. 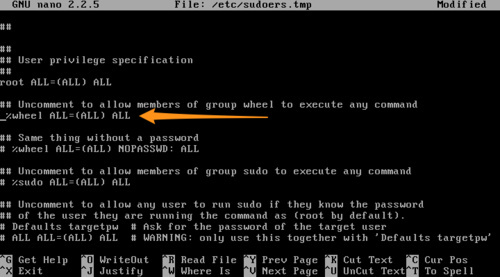 Once you split up your partitions, note the names of the two you’ll be using (i.e. /dev/sda1 as the OS partition and /dev/sda2 as your swap partition), as that’s how you’ll have to refer to the partitions during the install process. The first part of the installation is pretty simple to navigate, you actually have some semblance of a GUI here to work with. The setup takes you through eight steps, bringing you back to the main menu when you finish each one, ready to move on to the next. 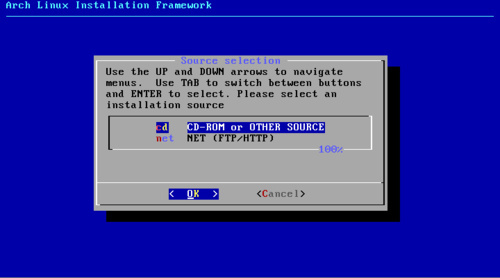 Step 1 is to select your installation source. If you’re using the Core installer, choose “cd”, if you’re using the Netinstall, choose “net”. 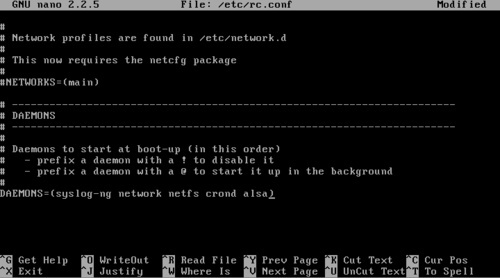 If you choose Netinstall, it will guide you through the process to set up your network and find a mirror for the packages. Setting up the network should be straightforward and problem-free as long as you’re using wired internet. If you’re using wireless, I highly suggest you plug your computer in for the installation and set up wireless later, though you can also set up wireless now if you prefer. When prompted to pick a mirror, just pick something on your continent, if possible—it doesn’t make a huge difference at this juncture. So, if you’re in the US, avoid mirrors with .de or .it domains, for example. When you’re done, return to the main menu. Step 2 is setting the clock. This step is pretty easy; just follow the instructions. 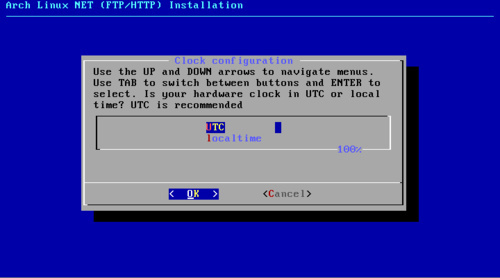 When it asks you to set the time, choose UTC if you only have UNIX-like operating systems on your computer (this includes Mac OS X), and choose “localtime” if you’ll be dual-booting Windows. Next, prepare your hard drives. If you’ve already partitioned your drives as you want them, skip to step 3 of this part, “Manually Configure Block Device, Filesystems and Mountpoints”. Pick “dev” at the next prompt, select the partition on which you want the OS, and hit Enter. Select your desired filesystem—I personally use ext4, though ext3 is also a popular choice—and hit Enter again. Select root (/) for the mountpoint, and enter a name for the partition if you so desire. Leave the options boxes that pop up blank, unless you have reason to believe you need specific options (again, if you’re an advanced user). Go through the same process for your swap partition (formatting it as Swap). When you’re done and you see both partitions scroll down to “DONE”. It will give you an error message, likely stating that you don’t have a separate /boot filesystem—this is fine; just hit ignore and continue on. 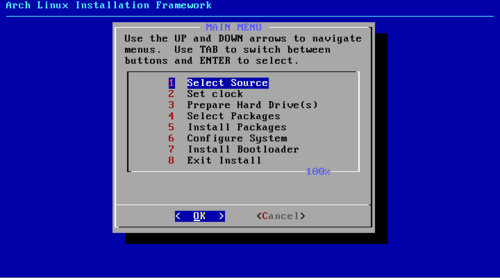 Step 4 consists of selecting packages to pre-install on your system. Honestly, I didn’t need much here, but it’s good to go through the step anyway. Just hit OK on the first window, as you don’t need the base-devel packages. When it gives you a long list of packages, I’d recommend scrolling all the way down to the bottom and selecting wireless_tools, if you have a wireless network you want to connect to. Hit space to select a highlighted package, and hit Enter to continue to the next step. Step 5 will install all the necessary packages. Grab a cup of tea and let it do it’s thing; it’ll take awhile. Step 6 is where you want to pay attention, even if you don’t have to do a ton of modifications. This step will take you through the base config files, which will give you an introduction to some of the action going on behind the scenes of your OS. Pick “nano” as your editor (as it’s the easiest), and go through each config file as described below. This is one of those situations where you should definitely browse the Beginner Guide’s corresponding section for more detail, but the following should provide very basic outlines and the steps you’ll actually need to go through. /etc/rc.conf: This file is your general system configuration file. It contains a lot of different things, from your location and timezone to what hardware modules you load on startup. Right off that bat, you’ll need to scroll down to the NETWORKING section and set your HOSTNAME to whatever you want, and add wlan0 to your INTERFACES if you plan on using wireless networking (so the line would read INTERFACES=(eth0 wlan0)). Again, if you’re using a static IP, you may need to enter more here. Take a look at the DAEMONS section, because you’ll see it a lot in the installation process—it basically lists all the scripts we want to start up with our computer. We’ll be adding a few in the near future. /etc/fstab: Fstab stands for File Systems Table. This file lists your available drives and partitions and decides how you’ll use each one. 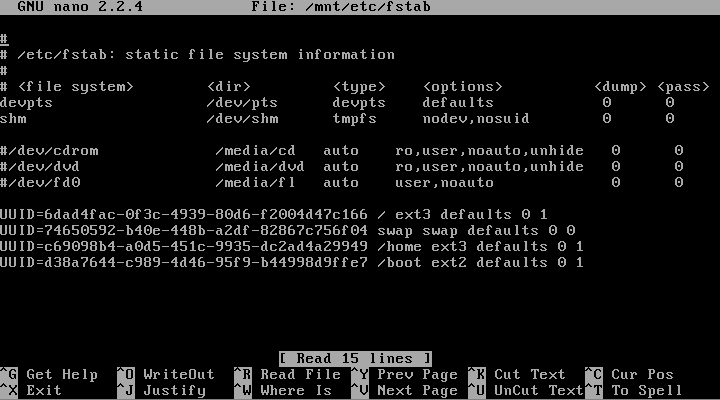 The columns, in order from left to right, list the file system’s name, mount point, format, and boot options. You probably won’t have to do anything here at the moment, but if you have a lot of partitions on your drive, you’ll probably find yourself back here soon. Check out the Fstab wiki entry for more information. /etc/mkinitcpio.conf: This file configures the initial ram filesystem (also known as initramfs), which is essentially the image that performs the actions necessary for your hard drive to control the Linux kernel (like loading the SATA module required to recognize the drive). You probably don’t need to do anything here at the moment. /etc/resolv.conf: You will only need to even think about this file if you use a static IP, which as I’ve mentioned, we won’t go through here. /etc/hosts: This file associates hostnames with their IP addresses. 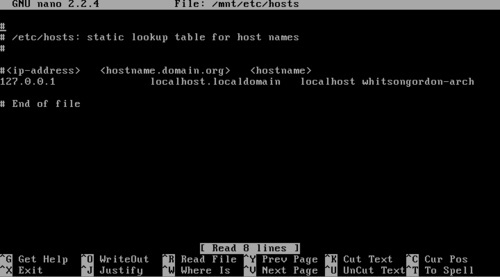 Make sure your computer’s hostname matches the one you picked in /etc/rc.conf (which it should have done automatically), and move along. /etc/hosts.deny and /etc/hosts.allow: These files deny and allow incoming connections from specific IPs. You’ll only need this if you plan on using ssh. The allow file will allow only connections from the ips you select, and reject all others, while the deny file will only deny the ones you list. /etc/locale.gen: you’ll need to select your location here. By default, everything should be commented out except the two marked en_US, which if you’re an English speaker from the US are the two you want. Make sure that’s correct (or, if you’re from elsewhere, comment them out and uncomment the ones for your location) and move on. 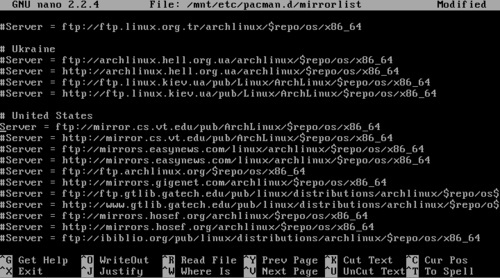 /etc/pacman.conf: Pacman is the incredibly awesome package manager for Arch Linux, and these are the files that configure it, including which repositories it searches. You’re probably fine with the default three repositories: [core], [extra], and [community]. 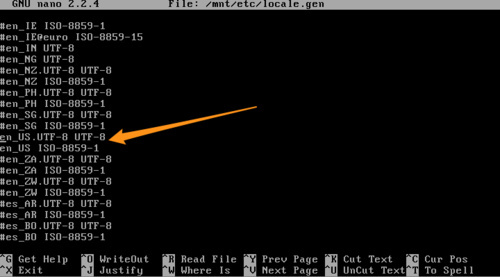 However, if you’re on a 64-bit system, you’ll probably want to head into /etc/pacman.conf and uncomment the [multilib] line and the line below it, near the bottom of the file. This adds the [multilib] repository to your setup, which contains 32-bit applications for those situations in which you need them. 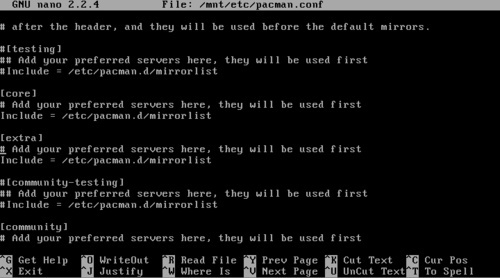 /etc/pacman.d/mirrorlist: This file contains a list of mirrors that Pacman uses to download files. Again, go ahead and uncomment one or a few mirrors near you. They’ll work for now. When you’re done viewing all the config files, hit “Root-Password” to set the password for the root account, then scroll down to “Done” and press Enter. It will run through a few processes to configure your system and return you to the main menu. 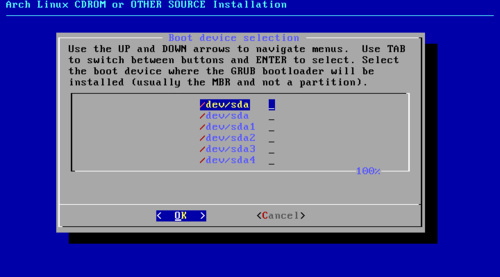 Step 5 is installing the bootloader, which for the purposes of this guide will be the ever-familiar GRUB. It will throw you into the config file, which you might like to poke around in, but doesn’t really need editing at the moment. Depending on if and how you’re dual-booting, you’ll want to install this in a different place, but the default of /dev/sda (where sda is the drive upon which Arch is installed) should be fine. Note that’s /dev/sda, not /dev/sda1—you want to install this on the drive, not the partition, if you’re using it as your main bootloader. Now, if you’re using a different boot menu or bootloader already (such as Chameleon for Hackintoshes, rEFIt for Macs, etc. ), you’ll want to install it on Arch’s partition instead. 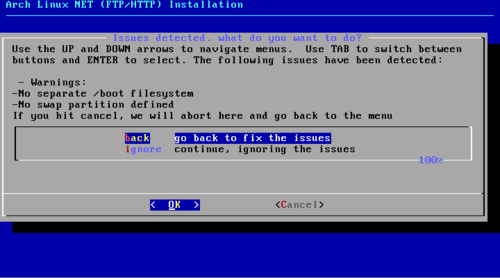 When you’re done, go ahead and exit the install, and type reboot when you return to the command prompt. Arch is now installed on your system. However, you aren’t out of the woods yet—the next step is making sure your network, sound, video, and other things are in line and installing a desktop environment from which you can work. If you can get your base system to reboot to a simple login prompt, congratulations! You have a working base system. Now, we’re going to get some of the details ironed out, like sound, graphics, users, and other back-end necessities. 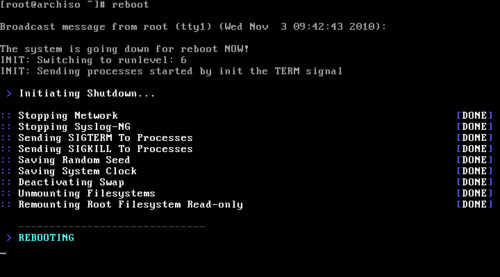 Log back in as root. If you used the Netinstall, you’re most likely up to date, but for peace of mind and teaching purposes we’ll update the system now anyways. Pacman is the package manager used in Arch, and it’s essentially the Arch equivalent of Apt in Ubuntu. Pacman is simple, lightweight, and fast, and surprisingly easy to use. I don’t miss Synaptic’s graphical interface at all; installing things from the command line is such a cinch that it seems unnecessary. As of right now, you’re using whatever mirrors you uncommented during the installation. That’s fine, but if you want to optimize your package downloading, I’d highly recommend building a mirrorlist using the rankmirrors script as described here. It will find the mirrors closest to you, which is nice. Again, if you used the Netinstall, you probably won’t have anything to update, but Core installers should definitely let this run (in fact, you may want to run it a few times, until it tells you it’s finished). And, since Arch has a rolling release model, all you need to do to keep your system up to date is run this command every once in a while—it will update everything you need. You can try finding the broken one by uncommenting one mirror at a time until it works. If the update fails at the first step (failing to check the repository instead of failing to download the package), make sure your internet connection is working. If at any point here you install a new kernel, you’ll want to restart before doing anything else. 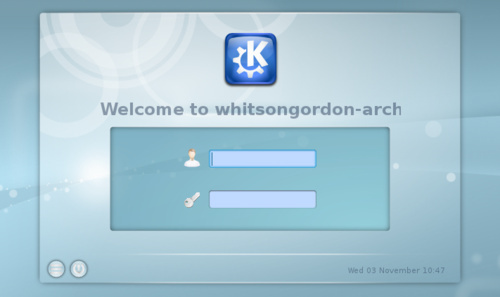 Of course, replace whitson with your desired username. The long string of comma-separated terms contains the groups to which your user belongs. The ones listed should be fine, though they aren’t the only ones—if you have a floppy drive or scanner, you’ll want to add floppy and/or scanner to the list. For a full list, check out the Groups wiki entry. and typing in your desired password when prompted. and it would search the repositories for “sudo”, returning to you a list of packages containing that name. Of course, you could also search the database on Arch Linux’s web site. When you’re done, you can move on to configuring video and sound. Make sure the correct channels are unmuted (usually Master and PCM, though you may need to turn up others like Front Speaker or Headphone). Usually, you’ll want to raise their volume all the way up, but make sure under “Item” at the top there is not a positive number next to “dB gain”. If there is, turn the channel down until “dB gain” is zero. This will ensure that you don’t get any sound distortion. If you hear a woman’s voice, your sound works correctly. If not, go back and make sure the right channels are unmuted. You might have to play around until you get the right configuration. 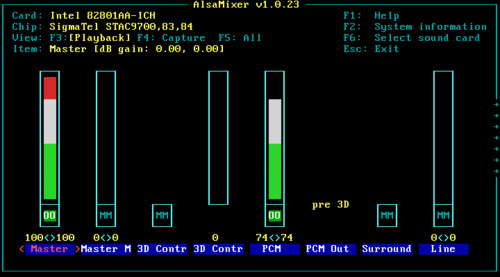 You can also include the package mesa if you foresee yourself using 3D graphics. Now comes what, in my experience, is always the most troublesome part of a Linux installation: video drivers and configuring X. You can check out a full list of open source video drivers here, and you can see exactly what chipset you have by running the command lspci. If you have an Nvidia or ATI graphics card and foresee wanting 3D graphics acceleration, you’ll probably want the proprietary drivers, which you can read about on the Nvidia and ATI wiki pages. You’ll want to read both that page and the video driver section of the Beginner’s Guide for more information; there’s just too much to cover right here. You’ll use Pacman to install the drivers, though, so at least that’s something you should be comfortable with by now. If you’re on a laptop, you’ll want xf86-input-synaptics as well. A note about xorg.conf: There is still one configuration file we haven’t mentioned yet, and it’s the one that gives me the most grief in life. etc/X11/xorg.conf (or, since xorg.conf is mostly deprecated, the files in /etc/X11/xorg.conf.d/ is what configures X, and while you may not need to configure it right this second, you will undoubtedly be coming back to it as you tweak your system later on, whether it’s to extend your desktop to a second monitor or to get your eighty-button mouse working. Once again, there’s way, way, way too much information about xorg.conf to go into here, so if you have trouble at this step, the corresponding Beginner’s Guide section and the dedicated wiki entry are your friend. If it works, you should be able to interact with a very basic windowed environment and run commands in xterm. You can exit by typing exit into xterm and hitting Enter. the n flag removes all the configuration files related to a package, while the s flag removes any dependencies that are now unnecessary. I generally always use n and s when removing a package, because I like to keep my system relatively clean. If you’re having trouble with your video drivers and testing X, there’s more information on troubleshooting it in the Beginner’s Guide. You should be able to startx (as a normal user) or, alternatively, restart your computer and enjoy your new desktop environment. Browser Plugins: You’ll probably want (however begrudgingly) to install Adobe Flash, and this wiki page will help you do so. Arch User Repository: One of the really neat things about Arch is that, for packages not in the usual repositories, there’s the AUR, a great, community-driven repository that contains packages. You’ll definitely want to read up on it and, if you don’t find a specific packages in the Arch repositories, check the AUR to see if someone has built it. To make your life even easier, install something like Packer to make installing AUR packages as easy as using Pacman (e.g. packer -S chromium-dev). Use the Forums: They’ll be your greatest source of help. Of course, make sure you Google and search the forums before you go and start asking questions. Compiz: Because who doesn’t like cool desktop effects? Alternatively, KDE users can also use the built-in Kwin just by going to System Settings. Xorg: I know I already mentioned this, but again—whether you’re setting up your dual monitors or getting all those extra mouse buttons working, you’re probably going to have to mess with Xorg. Also read up on your individual video cards, and search the wiki and forums for article specific to your hardware and peripherals—you’d be surprised which things are already heavily documented. While lots of newer SSDs have fewer lifespan-related problems than older ones, it’s nice to keep an eye on how your drive is doing. 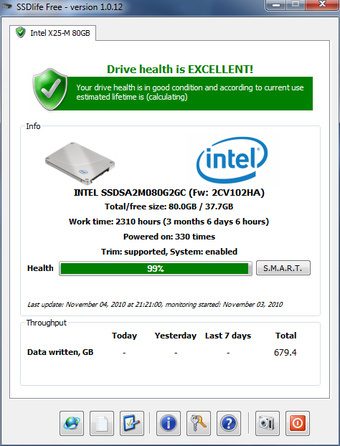 SSDLife will let you know how many times your drive has been powered on, written to, what its health and S.M.A.R.T. status is, and even give you an estimated lifespan of the drive. Of course, if you’d like to extend the drive’s lifespan, you can always use a tool like Intel‘s previously mentioned Solid-State Drive Toolbox (as well as Windows’ built-in tools) to make sure you’re getting the most out of your SSD. SSDLife is a free download for Windows only. You can also purchase a $20 pro version that will scan your drive at scheduled intervals. Windows: If you’re looking for a lightweight mind mapping tool to tuck on your flash drive, Bluemind is a speedy option with easy keyboard and GUI navigation, plenty of customization options, and support for multi-format exporting. Bluemind doesn’t add anything to the mind mapping universe that isn’t already there but it is very speedy. You don’t need to install it, it can run as a portable app, and keyboard-based topic and sub-topic creation is a snap using the TAB and arrow keys to quickly create and navigate new topics. You can customize the appearance of Bluemind by changing the color of mind map nodes, their padding, their shapes, the link color and style, and other details. 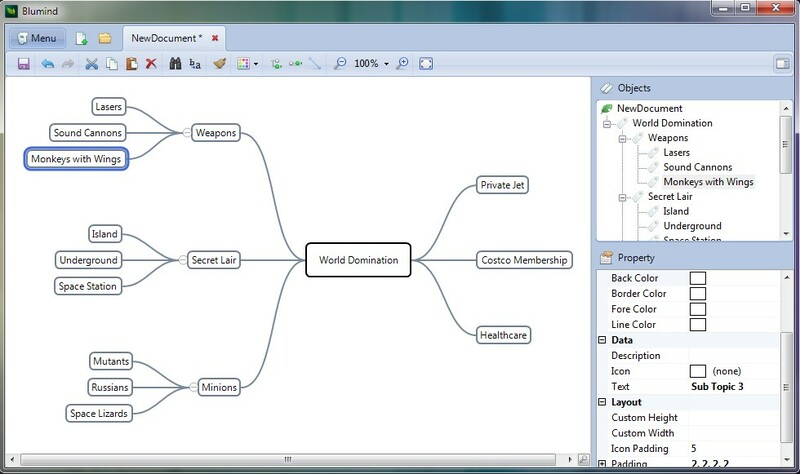 You can also navigate the mind map like an outline using the Objects pane beside the main window. When it comes time to save you can save the file in the Bluemind mind map format or export it as an image—in common formats like PNG, JPEG, and more—or in outline format as a TXT file. On a personal note, I try out every single portable mind mapping application I come across. I use mind mapping applications in my college classroom and so many of them are needlessly complicated and lack natural-feeling keyboard shortcuts. Bluemind is my new mind mapping tool for use in group brain storming sessions where a mix of computer savvy and computer semi-literates will need to use it quickly and efficiently. Bluemind is a free, portable, and Windows only tool. The Bluemind site is written in Chinese, click on the translation link below to see it translated into English. 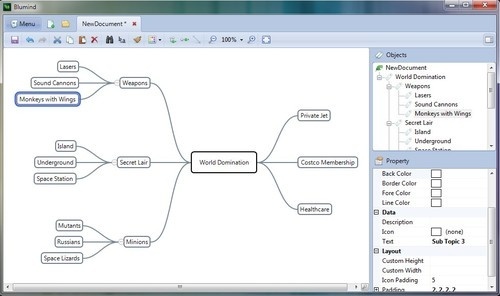 For more mind mapping tools check out the Hive Five on Best Mind Mapping Applications. Last month we highlighted Firesheep, a new Firefox extension designed to sniff out weak security and hijack web site credentials on open Wi-Fi networks. BlackSheep is an anti-Firesheep tool, designed to alert you whenever Firesheep is active on your local network. Zscaler, a company specializing in security measures for cloud-based computing services, created Blacksheep to counteract Firesheep session hijacking. Once installed Blacksheep broadcasts fake credentials to essentially fish for Firesheep installations on the network. When one is detected it displays the alert seen in the screen capture above. The configuration of Blacksheep is dead simple; by default it goes fishing every 5 minutes but you can adjust it down to 1 minute. Blacksheep is a free tool and works wherever Firefox does.